Celebrate Spring in Style at The Grove – club members are offered a complimentary glass of Louis Roederer Champagne throughout March when dining in Colette’s. 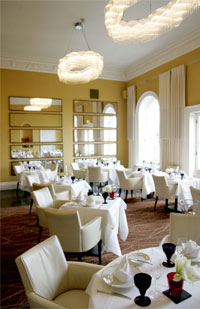 The Grove is a very special luxury hotel resort, on the outskirts of London. Colette’s, the hotel’s superlative fine dining restaurant, was recently awarded 3 AA Rosettes: it is the consummate choice for romance, celebrations and all nature of rendez-vous.